Two of our past pupils, who left Lisneal College in June 2017 following A Level studies, have been officially recognised by CCEA for their high academic achievement in D.A A Level Applied Business. 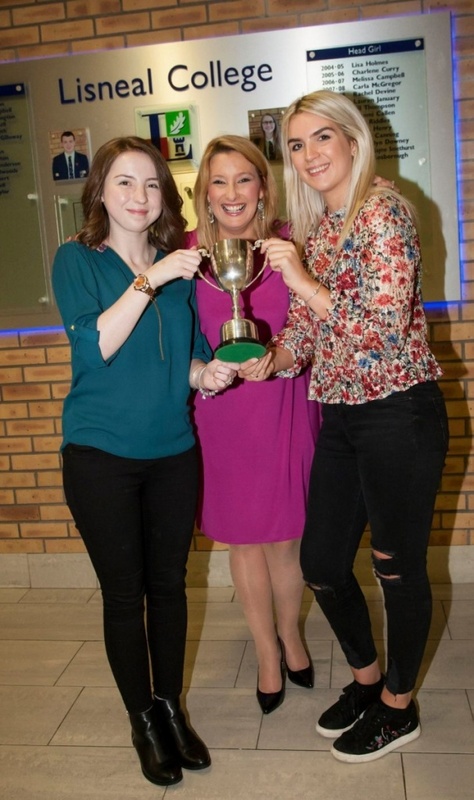 Congratulations goes to Emma-Jayne Smethurst who is the top candidate in Northern Ireland for CCEA GCE D.A Applied Business for 2017 and also to Jenny Stevenson who was awarded 3rd place in this qualification. Both girls achieved A*A* in this qualification along with an A grade in A Level History. Everyone at Lisneal College is incredibly proud of both ladies who aspired to achieve each and every day at Lisneal College. We know that both Emma-Jayne and Jenny have very bright futures ahead and we wish them every success with their university studies. Our school is very proud of the fact that we have had the top candidate in this A Level qualification for 3 consecutive years.